There has never been a more exciting time to be an organization aiming to acquire, engage, and service customers through digital media and technology. It has also never been more challenging. Companies that have been active in digital for many years are now struggling to find the most effective ways to orchestrate their growing portfolios of assets, programs, and activities. For organizations and start-ups new to digital, it is difficult to determine even where to begin. Independent: Providing guidance and delivering digital strategy recommendations without any bias towards or interest in digital production. Agile: Expert consultants working directly and nimbly with you, without the inefficiencies of large and multi-layered service teams. Experienced: Providing actionable and measurable recommendations that can be put into use, based on experience and not on buzzwords. Scalable: Able to take on strategy projects of various nature and scope through a network of experienced digital consultants. 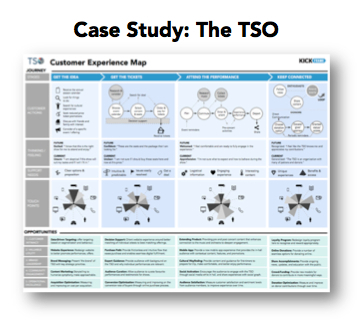 Learn about how Kickframe developed a digital strategy recommendation and roadmap for the Toronto Symphony Orchestra.